ii) The cost record regarding packed cement shall be covered in record of the packing and storage department. Cost of these departments are to be classified as “direct department cost” and indirect department cost” so as to confirm to or as near there as possible to such detailed headings as described in the various annexures. Indirect department cost represent cost of service departments. such as those producing compressed air (Annexure IX), Power (Annexure X) and other general expenses (Annexure XI). The indirect departmental cost shall be transferred to the above production departments. Cost of each production department i.e. total of direct and indirect departmental cost, shall be transferred to the next production department on the basis of quantity of output transferred out to next department. Annexure XII represents a Summary of all production costs for a cement factory as derived from Annexure I to XI. Important items of costs have been described in the following paragraphs. (a) All issues of production materials shall be reconciled in Annexures I to VIII, or in any form as near thereto as possible. Any losses or surpluses arising as a result of physical verification of inventories and adjustment thereof shall be clearly indicated in the cost records. Statutory records liable to be maintained under Mining and Explosive Acts and sales may be considered adequate if they meet the requirements specified here. chemical composition, colour and moisture content in case of limestone of particular quality, standard shale and gypsum in case of white cement, iron slag in case of slag cement and in case of other materials usual quality standards shall be specified in the supply contracts for the purpose of rebates. (c) Where some items of the raw materials are raised form mines owned or leased by the companies or are produced or manufactured by them, separate records showing the cost of raising, producing and manufacturing such raw materials shall be maintained n such detail as may enable the company to fill up the necessary particulars in the annexures or in performance as near thereto as possible. Where such items of raw materials are obtained on the basis of supply contracts Annexures I, II or III and not required otherwise, need not be maintained. (d) The cost, in addition to the basic price of the materials shown in the records, shall also include all other direct charges incidental to the procurement of production materials and transporting the same up to the factory. In case of own quarry of line stone, records of overburden raised shall be kept in terms of cost incurred. The basis of distributing the case of removal of overburden over the entire period of quarry working in the particular area shell be determined and consistently applied. (f) The records shall be maintained is such details as may enable the company to compile the cost in the various annexures. (a) Adequate record shall be maintained to show the attendance of workers employed by the company whether on Regular, temporary or piece-rate basis or on contract basis, as the case may be. Proper record shall also be maintained in respect of payments made for overtime work and production incentives given to the workers. This will be done in a manner that labour cost is available for each cost centre. c) Benefits paid to the employees other than covered in (a) above shall be worked out separately and shown in the cost statement department -wise. a) Adequate records shall be maintained to ascertain the cost of furnace oil/gas purchased and furnace oil/gas is allocated to different departments on any basis other than the actual cost, reconciliation with the actual cost and the treatment of variances, shall be indicated in the cost records. (b) Adequate record shall be maintained showing measurement of furnace oil before and after each filing in such a manner that quantity purchased is reconciled with the addition is stock in each filling is stock on each filling. c) The records shall be maintained in such details or may enable the company to compile the cost data in the annexures. (a) Adequate records, showing quality and cost of electric power generated and purchased with fixed charges and duties incurred thereon, shall be maintained. 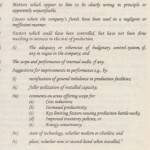 (b) Where electric power is generated by the company itself or by its wholly owned subsidiary on a sister concern, separate records shall be maintained in such details as may enable the company to compile cost data in Annexures X.
c) The records shall be so maintained as to enable assessment of consumption of power by different departments or manufacturing units or cost centres. Allocation-of cost of electric power shall be on the basis of actual consumption if separate meters are installed: or on the basis of technical estimates in the absence of separate meters. In the case of fixed charges or fuel adjustment surcharge claimed by KESC, WAPDA or any other supplier of electricity, irrespective of the actual power consumed and if the amount payable us per actual consumption fails below the contractual minimum, the difference between the contractual minimum and the actual amount shall be treated as fixed or period cost and transferred to Annexure XI. Cost of power consumed in and chargeable to non-manufacturing department, if significant, shall be shown separately. 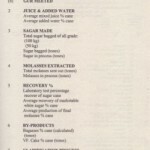 b) Cost of consumable stores shall include all direct charges incidental to procurement of each item up to the factory. The cost of such stores consumed shall be charged to relevant departments on the basis’ of actual consumption. The items issued for capital expenditure, such as additions to plant and machinery, shall be shown under relevant capital expenditure heads and not in the cost statements. (d) Wastage of consumable stores, whether in transit, storage or at any point, shall be quantified and shown separately. Method of dealing with such losses in costing shall be indicated in the cost records. Adequate records showing expenditure incurred on in-house repair and maintenance, and repair and maintenance through outside agencies shall be maintained. Records of workshop for quarrying of lime stone and clay shall be maintained. Records of workshop for quarrying of lime store and clay shall be kept separately and costs charged to quarrying operation. Details of cost determination and their basis of allocation of repairs and maintenance expenditure to different departments or manufacturing units or cost centres shall be inducted. Cost of work of capital nature, of heavy repairs, maintenance and overhaul cost, benefit of which is likely to spread over a period longer than one financial year shall be shown separately. with the generation of compressed air, if centralized and provided for the consuming departments, shall be maintained in sufficient details as may enable the company to compile the cost data to be charged as part of other manufacturing over heads in Annexure IX. (a) Adequate records preferably in the form of an annexure shall be maintained showing values and other particulars of fixed assets in respect of which depreciation is to be provided. The records shall inter alia indicate the cost of each item of asset, the date of its acquisition, its economic life and the rate of depreciation. (b) Basis of which depreciation is calculated and allocated to the various departments and products shall be clearly indicated in the records. 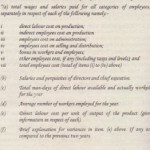 (c) Amount of depreciation chargeable to different departments, manufacturing units or cost centres for the financial year shall be in accordance with the provisions of clause (F) of Part II of the Fourth Schedule to the Companies Ordinance 1984, and shall relate to the plant and machinery and other fixed assets utilized in such departments or units or cost centres. The method once adopted shall be applied consistently. (a) Record shall.be maintained showing the insurance premia paid for the various risks covered on the assets and other interests of the company. (b) Method of allocating insurance cost to the various departments shall be indicated in the cost records and followed consistently. Overheads items which cannot conveniently be identified or apportioned over individual departments may be accumulated in Annexure XI and prorated over various departments on such basis or such one or more bases as may be deemed necessary. The basis or bases of apportionment shall be stated in the said Annexure. Adequate records shall be maintained showing the items comprising administration, selling and distribution expenses and apportionment thereof to the different grades of cement if produced in the same factory. 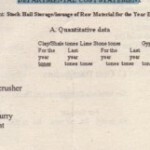 If clinker is being sold in addition to cement, the basis of allocation of these expenses shall be indicated records. If only one grade of cement is being sold, the entire amount of administration, selling and distribution expenses may be allocated to that grade. (a) Adequate records as required for the purposes of Annexure VllI shall be maintained showing the cost of paclcing materials used and direct wages’ and other expenses incurred in respect of different types and weights of packages. In case of bulk supplies, necessary cost adjustments will be made. (b) Adequate record shall be maintained showing quality, rate and value of packing material charged to the cost of sale. (c) Where packing material is produced in-house by the company, the record shall reflect the method of its valuation. In case packing material is purchased form a subsidiary or an associated company, the record shall disclose the name of such company and the purchase agreement with such company. The record shall the purchase agreement with the supplier even if it is an outside company/party. Companies shall develop appropriate standards for use as a basis to evaluate performance. Quality reports based on standards of strength per B.S.S. or other standards adopted by the industry may be maintained. Consumption ratios such as yield of explosives, furnace oil per ton of clinker, usage of clinker per ton of cement, percentage of gypsum, slug in cement, power consumption in terms of kwh for per ton of cement produced, etc., are also recommended to be worked out and compared with last year. (a) If integrated accounts are not maintained, the cost records shall be periodically reconciled with the financial accounts to ensure accuracy. Variations, if any, shall be clearly indicated and explained. (b) e reconciliation shall be done to such a manner that the profitability of each products produced and sold is correctly judged and reconciled with the overall profits of the company from all of its activities. (c) Adequate cost records shall be maintained in a manner so that the cost statements may be compiled.